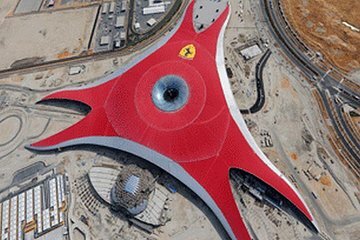 The world’s largest indoor theme park, Abu Dhabi’s Ferrari World is within easy driving distance of Dubai, making it an essential day trip for automobile- and adrenaline-lovers. This experience includes round-trip transport, admission, and ample time to enjoy the 20-plus rides and attractions independently. Experience the zero-gravity Turbo Track, ride the world’s fastest coaster, enjoy driving simulators, go-karts, shows, family-friendly rides, and more; and finish with a convenient drop-off at your Dubai hotel.